Sacred Sites & Healing Arts Program! Special Program! Visit Exotic THAILAND April 2019! Receive NAIC/ SomaVeda® Thai Yoga, NCBTMB and recognized CE hours and hands on training in Classical Indigenous Thai Yoga, Ayurveda, Yoga Therapy (Traditional Thai Massage) Certificate in one inclusive training! Included for your experience amazing temples, instruction from awesome teachers and Masters, street fairs and markets, food like you’ve never had, Buddhist monks & nuns, music and night life after class. 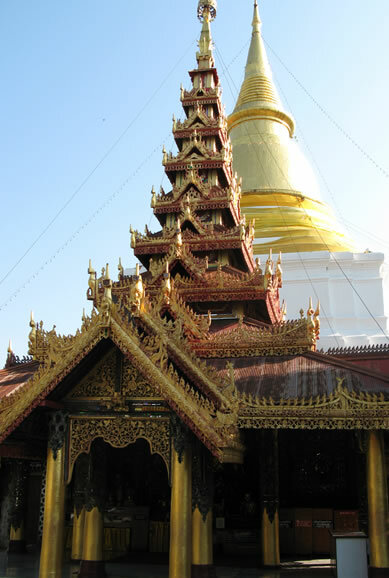 Tours in the beautiful Thai upcountry, hill tribe people and classical dancing, road trips across country, Golden Triangle, Chiangrai, Bangkok and Thai city life, River boats and the Summer palace, the famous Bangkok shrines and temples with a side trip to the largest outdoor market in Thailand- Chatuchak, Yoga, meditation, energy healing, classes and fun with like minded souls. Too many beautiful Temples to count! Shopping at Popular Night Markets! Unlimited opportunities to receive traditional Thai Massage! Road Trip from North to South… See the whole country up close and personal in relaxed style with private Van and Guides! Fours days of the biggest water festival in the world! Songkran! We will show you how to participate in this amazing sacred festival like the locals do, safe and fun! 5 Full Days of UTTS Certified Traditional Medicine with Certification on completion! 100 Ce Hours! All 2 and 3 star accommodations! This is our 36th. Annual Songkran Thailand excursion. We know how to get around and get the most for your investment. Our experienced guides and facilitators are simply the best available and our dedication is proven over time. Let us show you the hidden, the amazing, the unseen the miraculous, the special, the sacred and the fun of traveling and training in Thailand this next April 2019! NAICS Inc., Aachan and Diplomat, Aachan, Professor Dr. Anthony B. James, DNM(P), ND, MD(AM), DPHC(h.c.), RAAP, SMOKH and our local Thai providers and Master teachers provide Indigenous Traditional Thai Art & Religious Therapeutics Practicum In Thailand, April 2019. This program will provide you with over two weeks (19 days including travel days) in Thailand. You’ll get the exciting opportunity to visit Bangkok, Chiangmai, Pang Lang, Chiangrai, Mae Sai, Thailand areas. As usual, we will be basing our program on a Cultural Immersion / Eco-Tour type of approach. We spend a significant portion of our program (Five whole days!) time working with indigenous Buddhist Medical teachers and professional Thai staff (UTTS Ministry Authorized), in actually experiencing and learning traditional Thai Yoga and Ayurveda healing arts and culture. This year we are focusing on Indigenous Thai Traditional Medicine (TTM) Lanna/ Sukhotai Style “Tok Sen” and “Reusi Dottan”. We have the experience and commitment to having your experience in the kingdom of Thailand to be the very best. This amazing program, NON- AIR, is available for $2,558.00! For more extensive details and specific descriptions of what included and whats not click here: Thailand Program Guided Tours Details Page. For NAIC Trip Cancellation and Refund Policy Click Here! We have been offering opportunities for individual students and groups to explore tha Ancient Healing Arts and Sacred Places in Thailand for over 35 years. 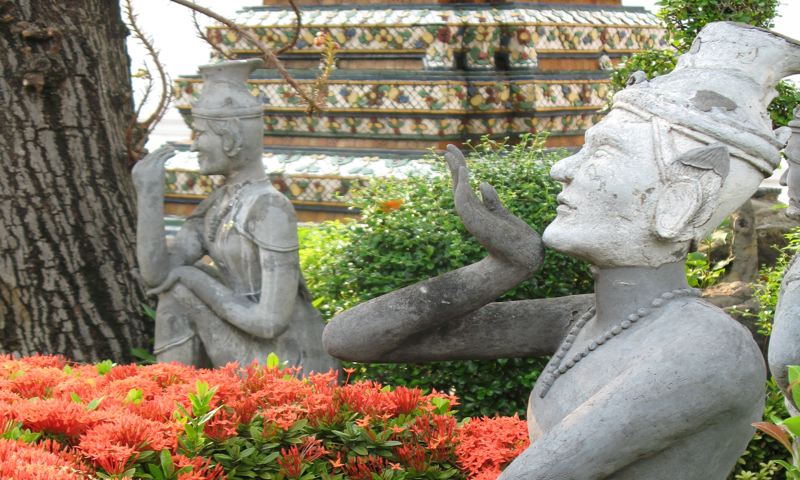 Join us and Learn Thai Yoga in Thailand!